PC Health Advisor is our top pick for cleaning the registry. The program is very simple to use overall and provides the best all round value. 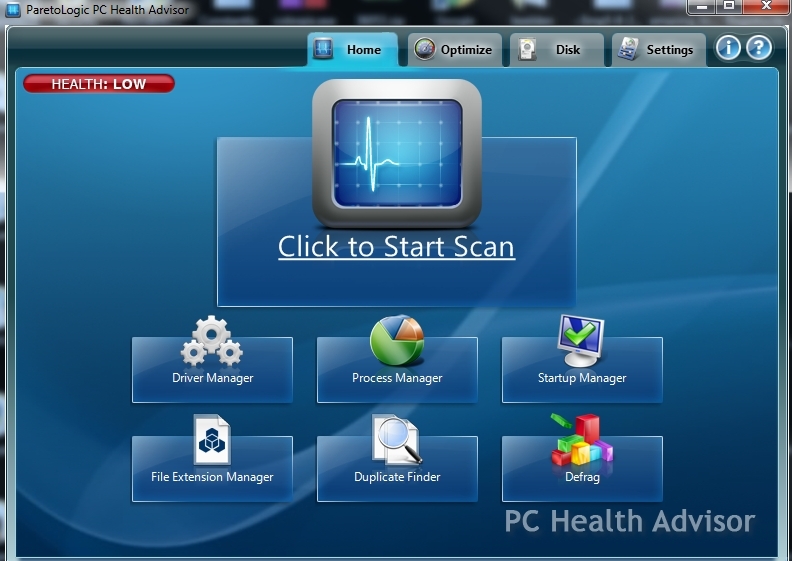 With PC Health Advisor you will be able to quickly repair your computer’s registry and with-in a few minutes really boost the overall speed and stability of your computer using the Start-Up Manager program, Defrag Tool, Malware Scanner, Driver Update program and several other tools. 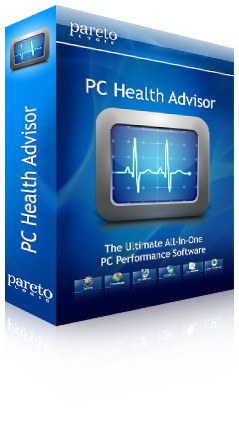 You must purchase the PC Health Advisor full version in order to receive all the features listed above. The PC Health Advisor evaluation will simply scan your computer for errors. 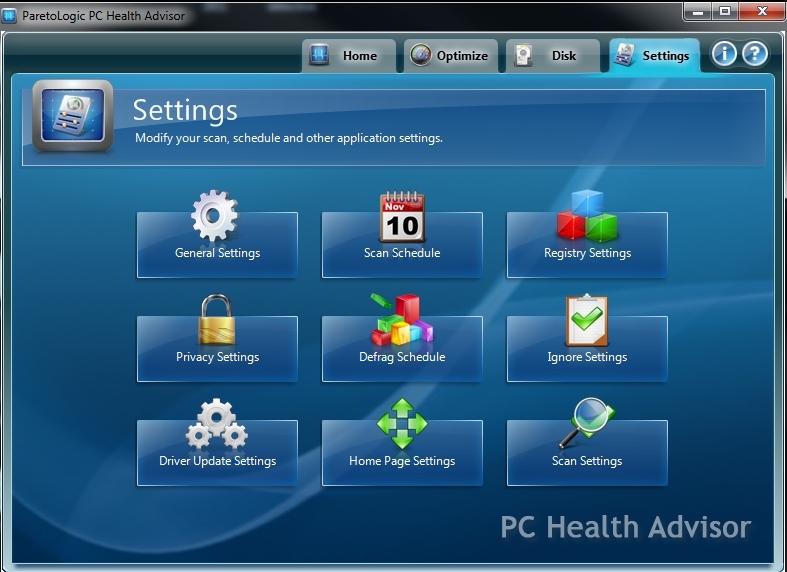 PC Health Advisor is very easy to install. Total install time should take under 3 minutes. Once installed you will be prompted to run a scan. This scan will check for several things on your computer, registry errors, driver updates, malware, running processes and the like. 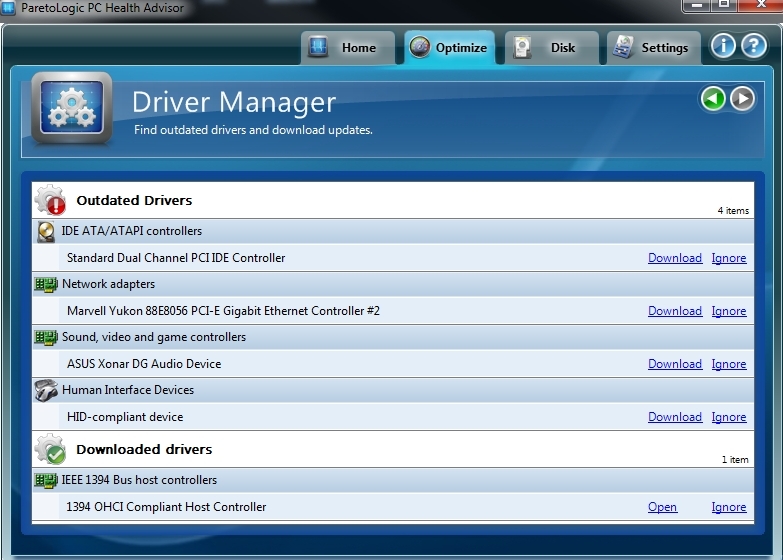 The Driver Manager is a nice tool that comes standard with PC Health Advisor. No other registry cleaner on the market comes with one. With this feature you will be able to find and update any old drivers on your computer. This helps to keep your computer running smooth and error free. The Start-Up Manager is where you should be spending most of your time. This area allows you to manage all the programs that start when you turn your computer on. By stopping these programs from starting you can gain a ton of processing power. Most people only want a few programs that they use every day auto-starting. The rest can be turned off. Use a little caution with this program and only un-check programs you are familiar with and recognize. If you are unsure what the process does you can go to a search engine like Google or Bing and run a search on the file. 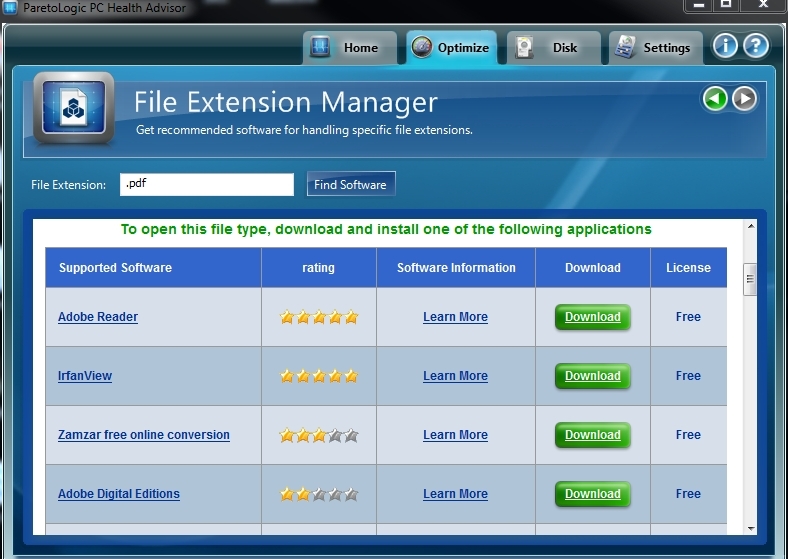 The File Extension Manager is one of the tools you will not use much but when you need it, it’s there. When Windows does not know how to open a file you can run a search for it in this program and it will tell you what programs can open the file as well as were to download the program at. In the image below I used the example of .pdf which is an Adobe file and one that is very common. 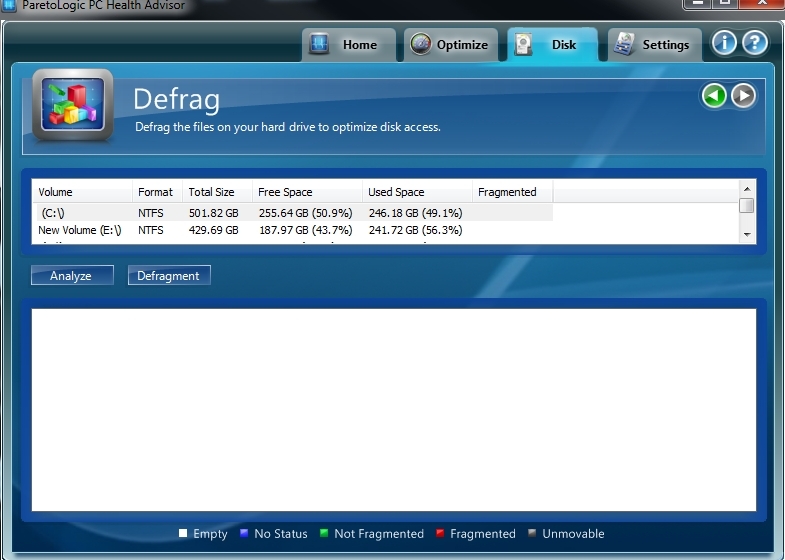 Defrag is something that has been around a long time. You are basically organizing all your files on the hard drive into a specific sequence for faster access times. This does not give you a huge boost in performance like in the past because our drives are much faster. However every little bit helps. Windows has the same basic feature as well that you can use. I’m a settings person. I like to be able to control what can be scanned, what should be ignored and schedule things. PC Health Advisor has many easy to control settings. Most other registry cleaners on the market are very lacking in this department. It seems that this program either updates it’s self automatically or it wipes out my custom settings. I often leave programs installed on my computer but make them not auto start so I can manually update and test them out every few months to note any changes. This software program keeps turning it’s self on every few weeks and new scheduled scans magically appear. I do not like the fact that I removed the scheduled scans but they keep coming back every few weeks or so. To me this is an attempt to circumvent my wishes with those of the developers. The software still works great but this portion did bug me. All in All we give PC Health Advisor two thumbs up and rate it one of the top 5 best registry cleaners on the market. It has features that most other registry cleaners do not have and is perhaps the easiest to use registry cleaning on the market. The price starts at around $29.97. This is comparable and with in the price range of most other registry cleaning products. 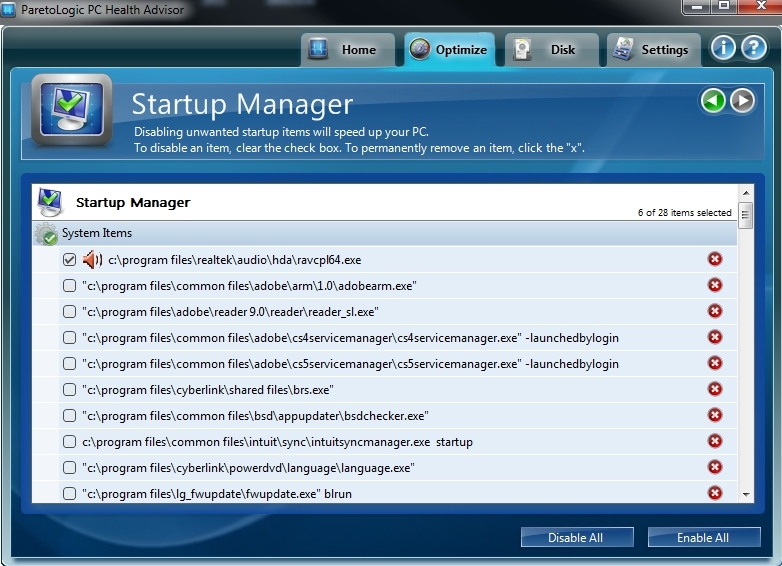 However with PC Health Advisor you get much more then a standard registry cleaner. It’s the extra tools you get with the program that really make it desirable.